In case of the EUR/USD currency pair, as it was expected, we have “head & shoulders” reversal pattern forming. 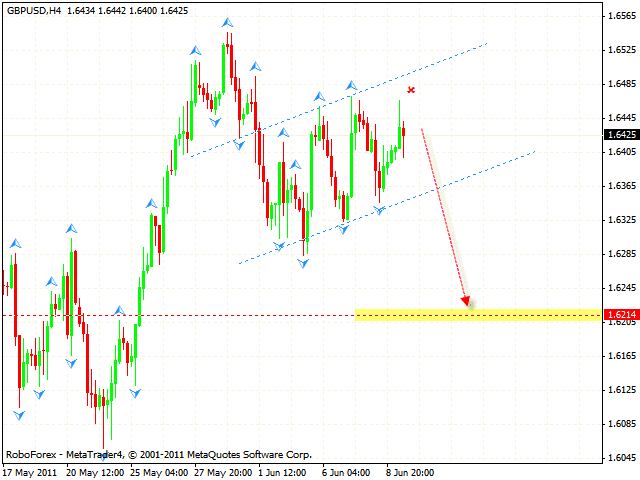 The final target of the pattern is the area of 1.4412. One can either consider selling the pair with the tight stop at current prices, or wait for the price to break the neckline and try more conservative sales. The stop must be above 1.4655. 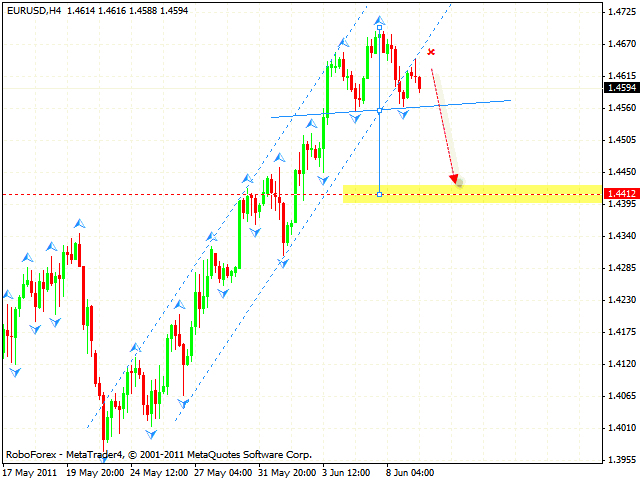 Pound keeps moving inside the rising channel, one can consider selling the pair with the tight stop above 1.6485. The target of the fall is the area of 1.6214. After the price breaks the channel’s lower border one can increase the amount of short positions. 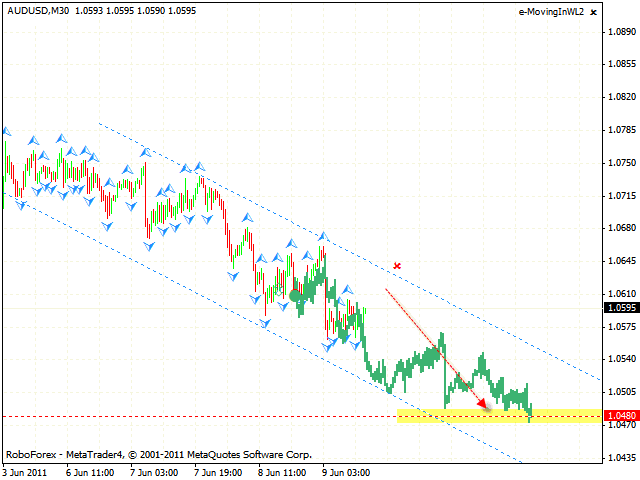 Australian Dollar is moving inside the descending channel, the target of the fall is the area of 1.0480. One can consider selling the pair near the channel’s upper border with the stop which is a bit above. But if the price breaks the channel and leaves it, this case scenario will be cancelled. 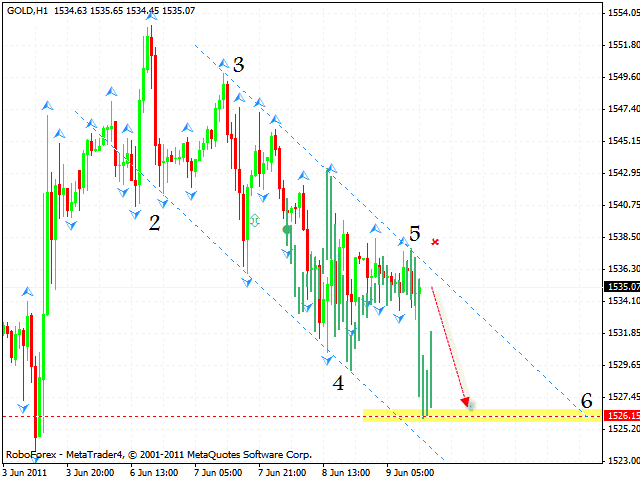 Gold is moving inside the descending pattern with the target in the area of 1526. One can try to sell the instrument with the tight stop above 1537. If the price leaves the channel, this case scenario will be cancelled and we will recommend you to close short positions.